Appliances are those wonderfully boring devices you never really think about until they stop working. Suddenly that thing that existed only in the background of your life becomes something you can’t live without. Yet, despite the this small disaster, your life hasn’t stopped moving. You don’t have time to wait. That’s when you call It Is Fixed Appliance Repair for fastest, most reliable appliance repair in Roswell, Ga.
Our technicians are local to Roswell, so a skilled service technician is never far from your door. Any day of the week you can schedule a same day appointment. We’ve got good news. We’re not like the cable company. We’ll never ask you to spend half the day waiting to answer the door for a technician. We minimize your downtime by offering flexible, two-hour service windows. We’ll even send you a notification when we’re on the way so you know exactly when to expect us. No one can schedule a disaster That’s why it doesn’t make sense for a business to only operate when the average person is at work. We understand that you need to work, so we do our best to work around your schedule. We’re available for early, late, and weekend appointments. We even work most holidays. Our technicians aren’t just good, they’re the best. Field-trained, licensed, certified, and insured, our appliance repair specialists have the knowledge and experience to solve the problem quickly and efficiently. Whenever possible, we source replacement parts directly from the manufacturer. This helps ensure that the part we provide will work with your appliance. Some days it feels like everyone has a hand in your pocket, and most companies will tack on as many hidden fees as they can to squeeze you for every last dime. It Is Fixed Appliance Repair is different. We strive to be a company you can trust. That is why we are committed to providing excellent service with fair, upfront prices. We don’t charge extra for appointments outside standard business hours, so whether you need a technician at 8:00 A.M. Monday morning or 5:00 P.M. Sunday evening, the cost to you is always the same. 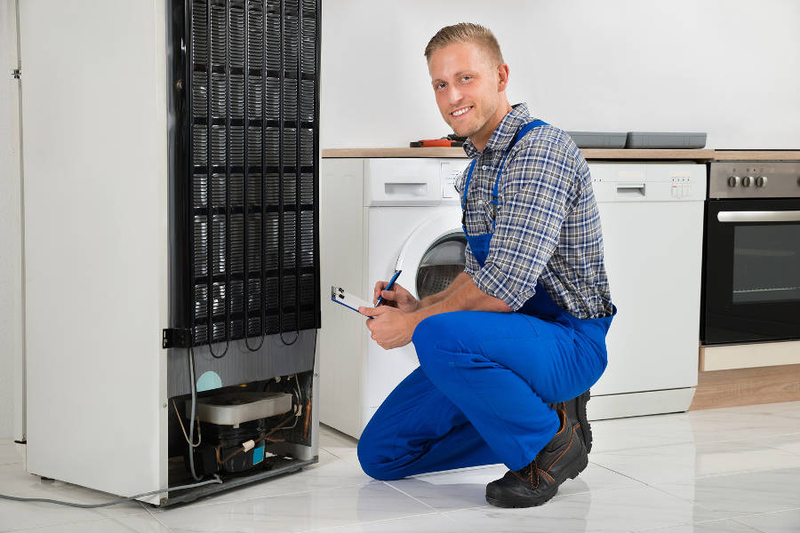 Though many of our competitors charge a minimum fee of $50 – $100, It Is Fixed technicians offer thorough, commitment-free appliance repair diagnostic services for only $39.95. If you choose to work with our technician after receiving a detailed estimate, the diagnostic fee is 100% free. We want to save you even more money. When you request a service call online, we’ll take an additional $20 off your total repair or installation bill. Although the fees for services depend on the complexity of the work and parts needed, the following list can help give you an idea of what you may expect to pay for appliance repair in Roswell, GA. It Is Fixed Appliance Repair technicians are refrigerator repair experts. We service all types of models including top freezer, bottom freezer, side-by-side, built-in, and french door refrigerators. Do you have a wine cooler that needs service? We can do that too! We service all major brands including Sub-Zero, Whirlpool, and Frigidaire. We are full-service providers, so if you need refrigerator installation we have all the tools needed to install your new unit. We also provide refrigerator maintenance service. We can recharge Freon on older refrigerators or clean the compressor coils. If you need to know where to buy a new refrigerator in Roswell, try Ferguson Bath, Kitchen, and Lighting. Don’t spend your day at the Roswell Coin Laundry. If your washing machine isn’t getting your clothes clean, or leaking all over your floor our appliance repair specialists can fix the issue and get you back up and running before you even miss a single load of laundry. Whether you have a top-loading or front loading washer, we’ve got you covered. Even if you want to fix your washing machine yourself, we’ve got your back. We have several washing machine troubleshooting guides to help you get fixed fast. If your dryer breaks you can always hang up your clothes, right? Well, maybe not. Many HOAs restrict the use of clotheslines, and Georgia has not passed any “right to dry” laws. That means you may be stuck letting your laundry drip all over your house if your dryer stops drying your clothes. We service all types of dryers and can fix problems like a dryer getting too hot, or a dryer that won’t spin. Whatever repair is needed, we’ve got the solution. If you’ve recently purchased a washer/dryer set, we are happy to provide installation services. We’ll hook everything up and make sure both your washing machine and clothes dryer are working properly before we leave. Dishwashers may not make the top of everyone’s “must have” list, but we consider them essential time savers. A good dishwasher can save hours every week, and that’s time you can spend with friends and family, or pursuing a hobby. If your dishwasher is leaking or not getting your dishes clean, It Is Fixed Appliance Repair can help. Not all stove and cooktops are created equal. If you have a gas range, you may have a problem with a burner that won’t light. If you have a coil stove, you may have a problem with a burner that won’t turn off. 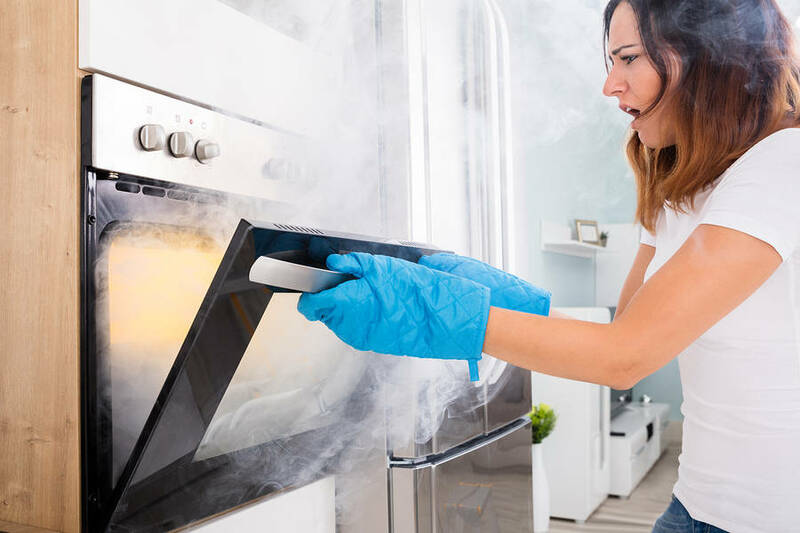 Despite their convenience and ease of cleaning, if you have a glass top range, you may have issues with a burner that heats unevenly. Regardless of the issue, we have the tools and expertise to get it fixed. We think the oven is the heart of the kitchen. It is certainly the heart of all your baking needs. If your oven smells like gas, or your oven isn’t getting hot, it certainly makes creating delicious cookies more difficult (and really, life deserves cookies). Although we love our microwaves, there aren’t enough Chocolate Mug Cake recipes to replace a good oven. Don’t settle for half-baked dinners. Call It Is Fixed Appliance Repair, and we’ll get you set for dinner. 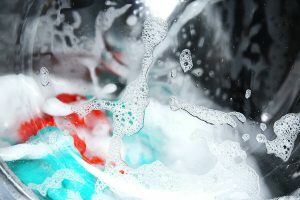 The washing machine stopped, but it’s not completed the entire wash cycle, what can you do about it? Don’t start over again, check out the following guide for both Front-Loading and Top-Loading washing machines. It Is Fixed Appliance Repair can help you get to the bottom of this inconvenient situation and get your laundry cycle moving once again. A smoking stove does not always signal that dinner is done. There are other reason why your stove might be billowing a few puffs of smoke at you. Fortunately, not all of those cases are dangerous but some can signal an alarm. The following troubleshooting guide can help you find and resolve the issue. Cleaning the inside of your refrigerator is not the only maintenance you want to do to keep it in good repair and long lasting. Many refrigerators will last twelve to fifteen years with proper upkeep and regular maintenance. 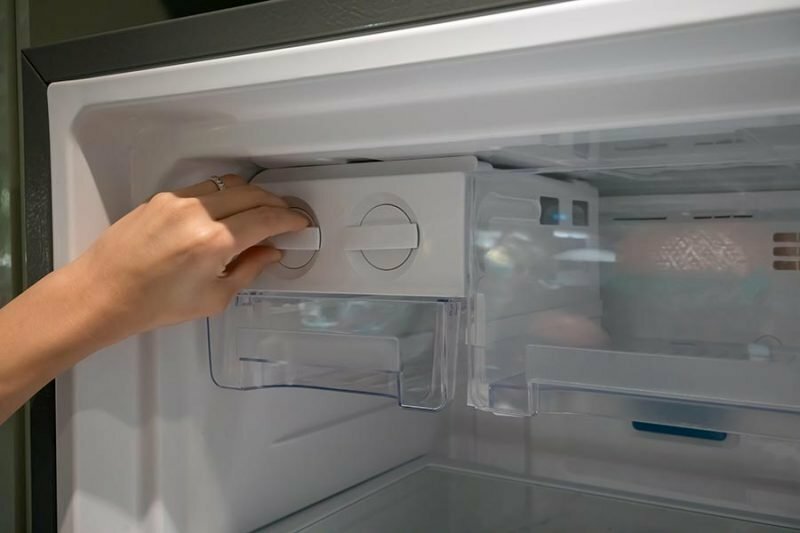 The Following steps in our Refrigerator Maintenance Guide can extend the life of your appliance and prevent costly repairs. My washing machine is 10 years old. I thought I was going to have to replace it because I couldn’t get it to spin. They came out right away and got it fixed.My dryer is part of the same set and I had to get it fixed about 6 months ago for a different issue. I went with a different company. It cost me twice and much and they couldn’t come out for a week! I wish I had gone with It Is Fixed the first time. If I need appliance repair in the future, I will stick with these guys. It Is Fixed is one of the best appliance repair companies I’ve ever worked with. They had a tech out to me just a couple of hours after I called. I’d been trying to figure out how I was going to get my laundry done for the week, and they had my washer fixed so fast it didn’t even disrupt my schedule. Price was pretty reasonable too. All my appliances are old (I still have the same appliances that came with my house 15 years ago), so I know I’ll be calling them again.